The job of this website is to introduce you to these wonderful and important animals. Let me tell you why I call them ‘Jaws of Life’. Sharks have inhabited the oceans for 430 Million years. The modern sharks have not changed much in the last 60 million years. 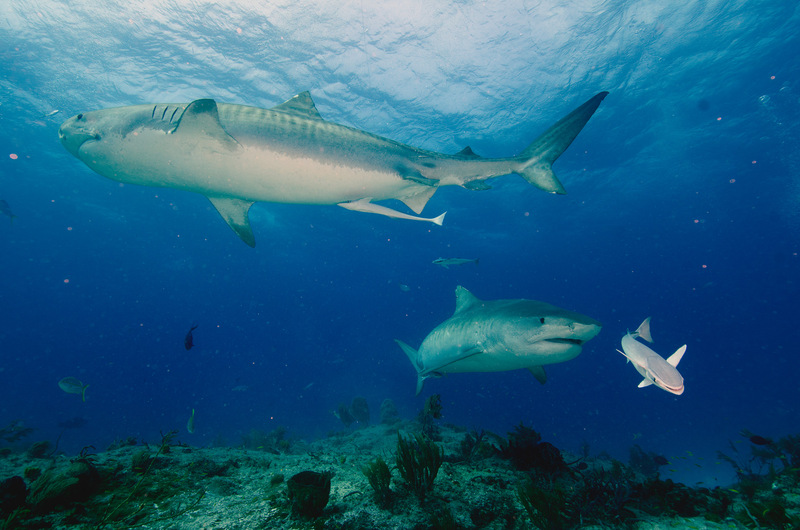 Being the apex predators in the ocean, they maintain the biological balance in that very complex ecosystem. The bigger sharks keep the numbers of other predator fish and smaller sharks at a viable level. They keep water-birds and seals at viable numbers too, who otherwise, together with other predatory fish, would eat too many of the little fish which again are the ones who keep the coral reefs free from a suffocating algae. Without sharks this very complex ecosystem will break down. 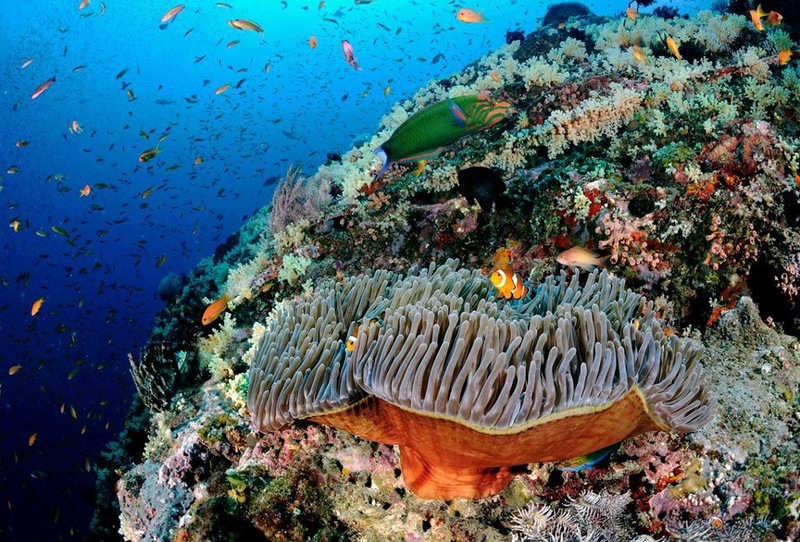 Coral reefs without reef sharks will die within one year. 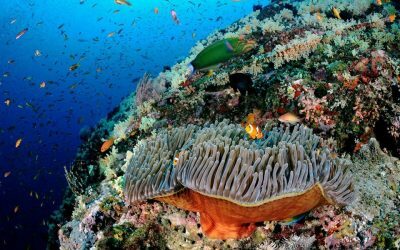 Once all the reefs are dead, the oceans will die, because coral reefs host about 1/3 of all marine life. It is all very closely connected. It might be difficult to understand, that without sharks, the fish populations, which are necessary for human consumption, will decline and the balance in the oceans will be lost. 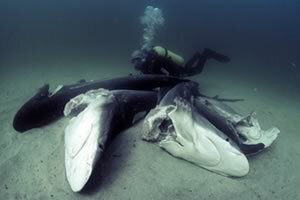 We already see the results of indiscriminate killing of sharks around the world. Scientists have discovered that the number of rays and octopus, the favorite food for some shark species, have multiplied rapidly in some parts of the Pacific and the Caribbean. Those rays are already threatening the lobster populations and the overall balance in those regions. In the Carolinas the scallop industry has been wiped out because large numbers of cow-nosed rays, the favorite food of some reef sharks, are now eating the scallops before they spawn. What is the reason for that? There are not enough sharks left to control the number of rays. The people who used to live of that industry have lost their jobs and their livelihood. Once again, human interference has endangered the balance of nature. If we humans continue to destroy sharks, the controlling factor in the ocean, we could eventually create the largest ecological disaster in the history of mankind. Global Warming is also contributing to the problem. “The problem is not man-eating sharks, it’s shark-eating man” says Dr. Sylvia Earle. As you can see there is a fine balance in the oceans and if one important controlling factor is lost, the delicate system will break down and the ocean will never be the same. The ocean is not infinite, many species of fish have already been wiped out by bad management, or no management at all, which resulted in irresponsible overfishing. 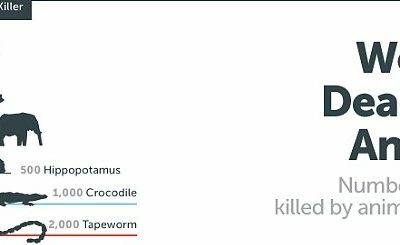 If we strip away the apex predator at the top of the food chain, the bottom will most likely collapse. Yet, no animal on earth is feared more by humans than sharks. The media loves to portray them in exaggerated stories as merciless killers or man-eaters. We have to show tourist oriented countries, that sharks are worth much more alive than dead, because tourists want to see them and divers want to swim with them. 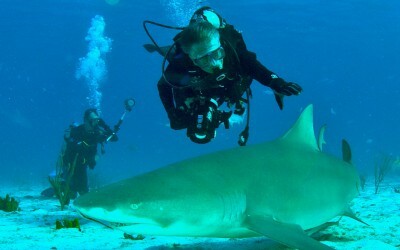 Shark diving has helped to improve the image of sharks. People have gotten to know and understand them, by swimming with them. Fact is, that sharks are more threatened by humans than we are threatened by sharks. Sadly, people love to hate them.